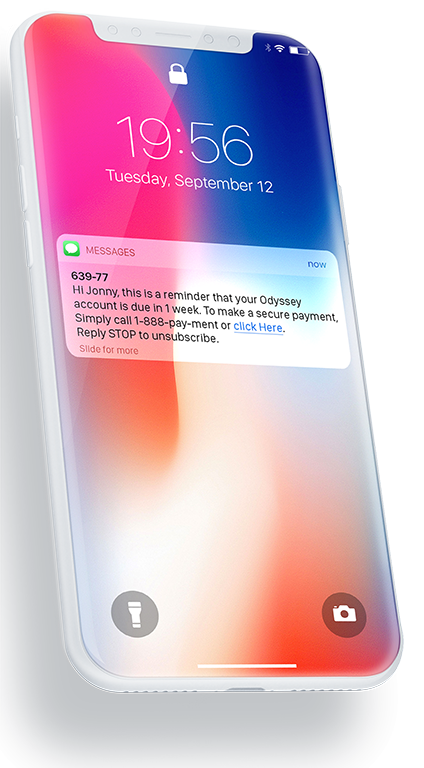 Businesses can benefit greatly from SMS technology, which can be utilized to fulfill a variety of functions, such as sending reminders, receiving confirmations, and offering rewards. Mobile phones are becoming the preferred devices used to communicate amongst companies, brands, and customers. With more than 350 million mobile phones in North America, text messaging is a simple way to reach customers and prospects with a large audience. With an open rate of nearly 100%, text messages are the most efficient media. Broadcast in real time, 90% of SMS are read in the first 3 minutes of their reception. Compared to email or phone calls, using SMS to engage with your customers significantly reduces your communication costs. Safety alerts, security breach, public health issues, authentication. Order & delivery tracking, appointment reminders, stock alerts, account warnings, security breaches & anti-fraud checking, multi-level authentication. Customer loyalty programs, welcome messages, special events like anniversaries or holiday messages, coupons & promotions, private sale invitations, subscribers’ communications. Reception services allow you to benefit from an additional way to communicate, improving the service’s quality by implementing a two-way messaging solution to enhance your customers’ engagement.